Gail L. Setter, age 86, of Glenwood, died on Thursday, November 22, 2018, at Glenwood Village Care Center. Funeral services will be held at 10:30 a.m. on Monday, December 3rd at All Saint's Chapel in Glenwood Village Care Center, with Rev. Krista Lee officiating. An Order of the Eastern Star service will be at 9:30 a.m. followed by a visitation time until the service. Interment will be in the Glenwood Lutheran Church cemetery. Arrangements are with Hoplin-Hitchcock Funeral Home of Glenwood. Gail was born in Glenwood, Minnesota, on November 14, 1932, in the midst of the Great Depression. She was the only daughter of Harry Oliver and Lourene E. (Peterson) Setter, who owned and operated the local drugstore. She was welcomed home by her brother, Richard J. Setter, who was about 4 years old at the time. When Gail wasn’t in school, she could be found helping her father at the drugstore. During the summers, Gail and her friends would flock to the beach, across from Barsness Park, on the shoreline of Lake Minnewaska. It was here that she fell in love with the water and learned to swim. She also enjoyed roller-skating and dancing at Lakeside Ballroom and never forgot the thrill of seeing Guy Lombardo and Louis Armstrong perform there. Gail graduated with the Glenwood High School Class of 1950. That fall she attended Gustavas Adoplhus College in Mankato. It was there, while earning her teaching certificate in swimming, that Gail realized her purpose; she was born to teach water safety and first aid. At the age of 24, Gail’s swimming instructor career was launched when she took her first real job with the Pope County Red Cross. Her main responsibility involved teaching swimming lessons on Lake Amelia, Grove Lake, Lake Linka, and Lake Minnewaska. In 1962, the City of Glenwood hired Gail as its swimming and first aid instructor, which included the responsibility of managing the City beach. For the next 32 years, every summer you could find Gail patiently and faithfully teaching American Red Cross Life Saving courses at the beach in and keeping watch over swimmers. Gail was not sure exactly how many students she taught over the years, but she figured it was time to hang up her whistle when she started teaching the grandchildren of some of her earliest students. Legend has it that a portion of the final exam for lifeguard certification in those days involved Gail greasing herself up with Crisco, jumping in the water, and flailing her arms and legs to simulate a realistic drowning. Needless to say, not everyone passed. Gail was not just well-known for giving swimming lessons, but also a tireless volunteer for many groups and projects around Glenwood. In the 1950’s through the 1970’s, Gail was very active with her church, Glenwood Lutheran, of which she was a lifelong member. Her efforts focused primarily on activities that benefitted the youth of the congregation. Also in the 1950’s, Gail volunteered at the local hospital as part of her involvement with the Women’s Hospital Auxiliary. In the 1960’s, Gail served as a Girl Scout leader, mentoring a troop of local girls. The only thing that rivaled Gail’s passion for teaching Red Cross classes was her passion for the fraternal organization, Order of the Eastern Star. One of the group’s missions is serving others, which made it a natural fit for Gail. She loved the opportunity to join with other like-minded individuals who wanted to make their community and world a better place by lending a hand. 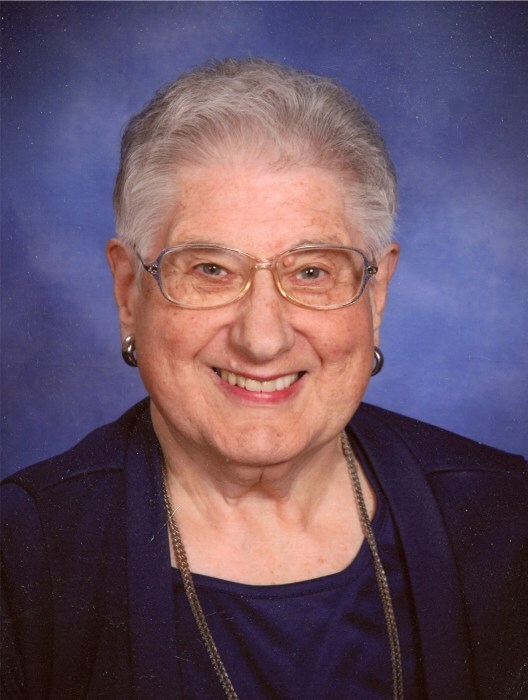 Her active involvement with the group spanned 52 years and included raising funds for cancer research and hospice, scholarships for youth desiring to further their education, and volunteering at the local food shelf. Gail was honored many times over years for her lifetime of dedicated service. The most significant honor came in 2010, when she was awarded the Presidential Volunteer Lifetime Achievement Award in conjunction with National Volunteer Week. This award was created by the President’s Council on Service and Civic Participation as a way to thank and honor Americans who, by their demonstrated commitment and example, inspire others to engage in volunteer and community service. Gail is survived by three cousins, Ronald E. (Betty) Peterson, Wayne H. (Sharon) Peterson, and Craig A. (Dianne) Peterson. She was preceded in death by her parents, Harry and Lourene, and her brother, Richard.